In GTA V, the frame rate of the XFX RX 590 is 46FPS, which is 4 frames ahead of the RX 580, behind the GTX 1060 6GB 2 frames. In Assassin’s Creed: Origins, the XFX RX 590 ran a frame rate of 44FPS, leading the RX 580 3 frames, the same as the GTX 1060 6GB. In the Far Cry 5 test, the XFX RX 590 ran a frame rate of 56FPS, 4 frames ahead of the RX 580, 8 frames faster than the GTX 1060 6GB. In the “Ashes of the Singularity” test, the frame rate of the XFX RX 590 is 41FPS, which is 3 frames faster than the RX 580, and 3 frames faster than the GTX 1060 6GB. In the Resident Evil 7 test, the XFX RX 590 has a frame rate of 76FPS, which is 4 frames faster than the RX 580 and 18 frames faster than the GTX 1060 6GB. 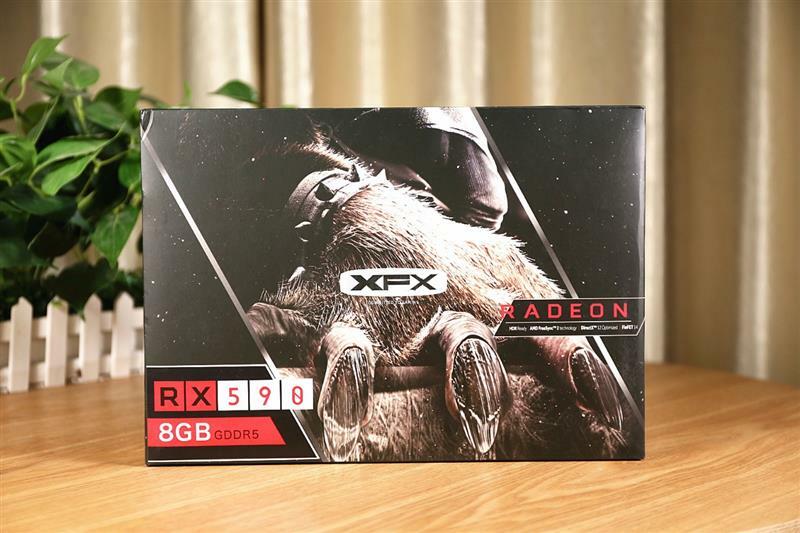 In the “Witcher 3” test, the frame rate of the XFX RX 590 is 42FPS, which is 2 frames faster than the RX 580, and 6 frames faster than the GTX 1060 6GB. At 2K resolution, the demand for graphics cards will be further improved, and the performance difference between different grades of graphics cards can be reflected. The XFX RX 590 has a 15% lead over the GTX 1060 6GB and is 7.5% faster than the RX 580. 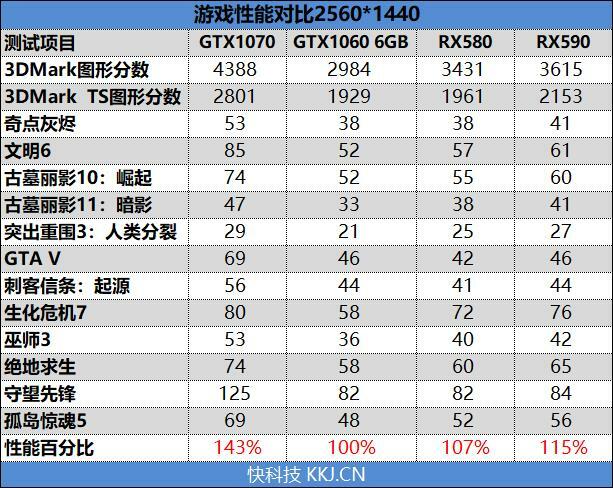 At 4K resolution, the RX 590 graphics card basically cannot run smoothly, so no separate test introduction is made.